In 2016 we began celebrating our 10th anniversary with the theme United We Flourish. What does United We Flourish mean? It means that our company would not be here without the amazing companies we work with, the designers who create stunning projects showcasing the wonderful products being created AND you, our fabulous customers! YOU are such a vital part of our creative community – you inspire & encourage us! Your response to United We Flourish was overwhelming and heartwarming. We heard repeatedly from you that you appreciate how our little company works together with the other manufacturers we carry to bring you their products and education showing how to use those products. To thank you for your constant support and encouragement, we have partnered with some of our friends to offer exclusive limited edition stamp & die sets!!! It is our goal to release a new set each month for the next few months. These sets will be available for a limited time (most likely 3-6 months) after each release, depending on how quickly you snap them up. The theme of these stamps sets are uplifting and fun. This is so true you all — this awesome creative community I’m so lucky to be a part of truly is better together. Love how we all come together and help each other. Just the best feeling. 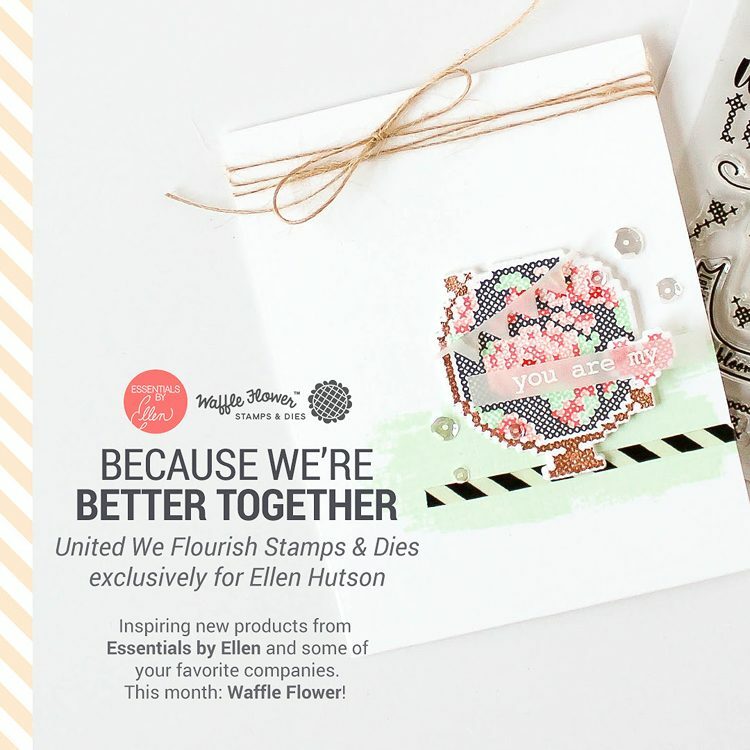 Stitched Together // United We Flourish with Ellen Hutson and Waffle Flower! 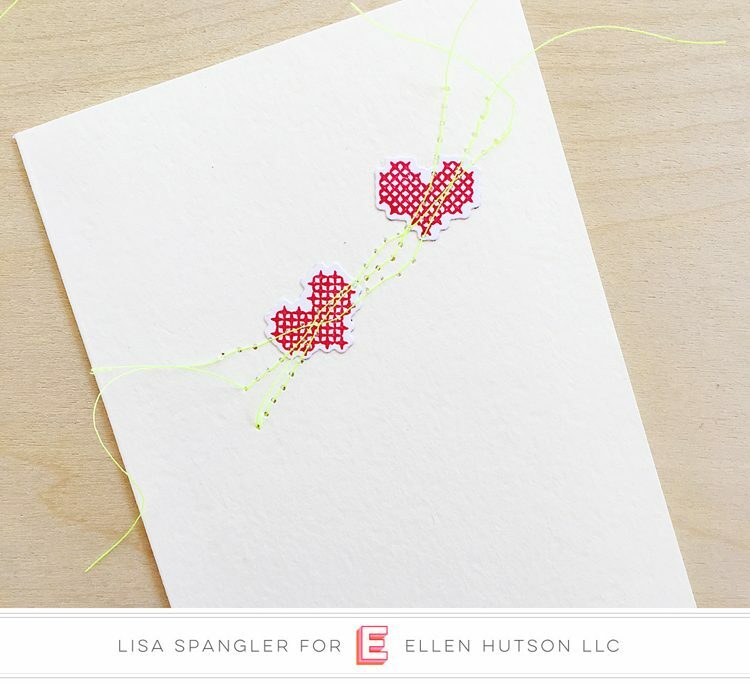 Also be sure to check out the idea page here at Ellen Hutson — there’s a layering guide and a video too! Love that globe so much! I have a thing for globes and maps, and that tapestry? Yeah I’m all over that! I didn’t get the flowers lined up exactly right because I made this when the stamps were hot off the press and the layering guide was out so I wasn’t sure what I was doing hahaha! — but still love how this turned out! I used my new Catherine Pooler inks — those colors — ahhh! I was badly in need of some new inks and asked around to see what friends thought — so glad I got some of these to try — now I kinda want them ALL. They’re just so pretty and vibrant! See the full lineup here. (Supply links below, but had to give a shout out to the fiesta blue that I used for the water.) I also stamped the stand for the globe with gold ink to give it that little extra something. …there’s the sentiment that brings it all together! In addition to the supplies for these cards I’ve also listed some past United We Flourish and Waffle Flower faves here below! PS. These stamps will only be available for a limited time — once they’re gone, they’re gone! Cute cards. 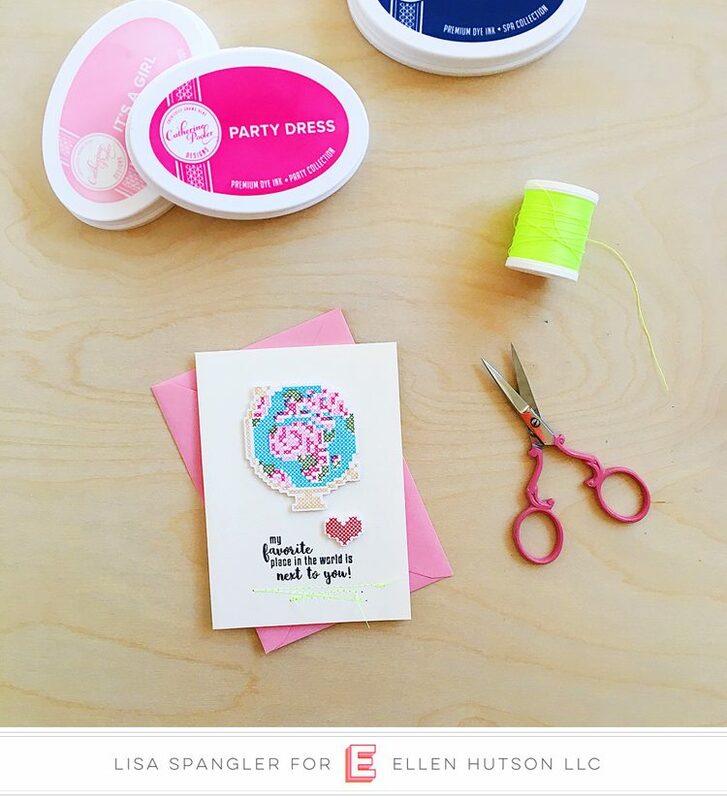 It wouldn’t be a card from you without confetti!! 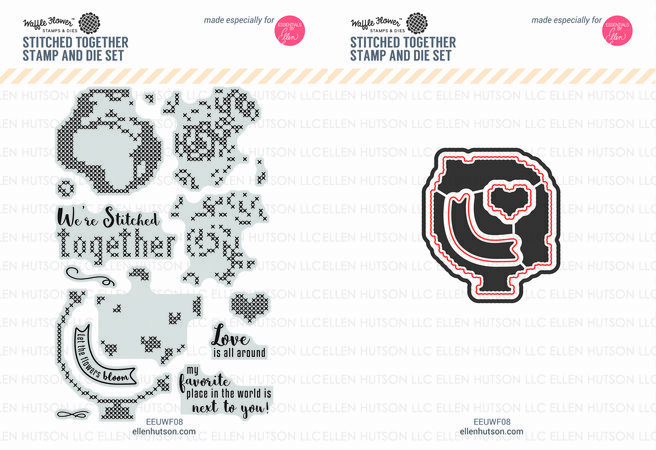 I love cross stitch so I am kind of partial to this stamp! Love that you tied them both together with that stitching! Oh my so very pretty and bright!! 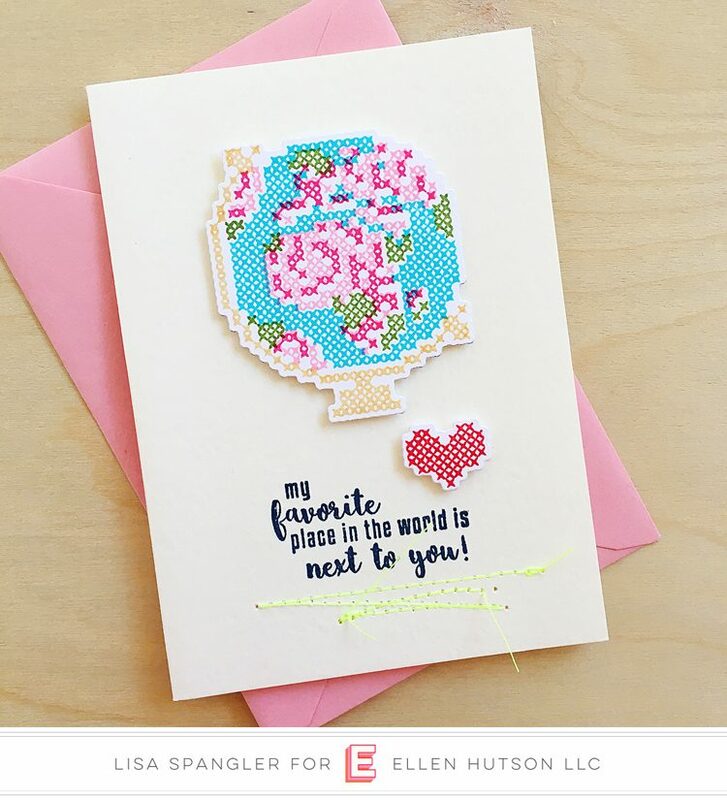 Two of my passions are cardmaking and cross stitching!!! Love this set! Sweet cards! 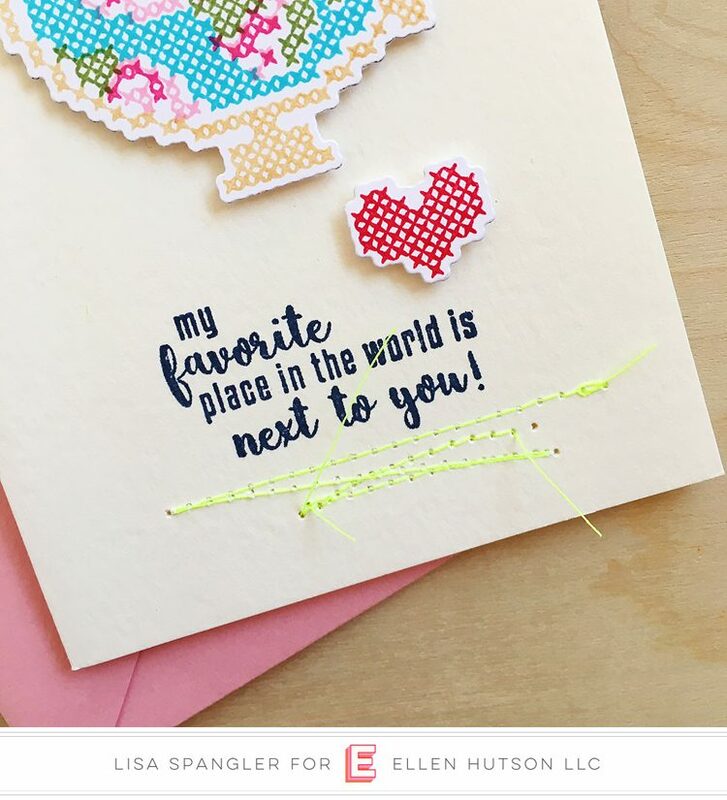 Love the colors you used and the stitching details! Love this pretty Stitched Together set! 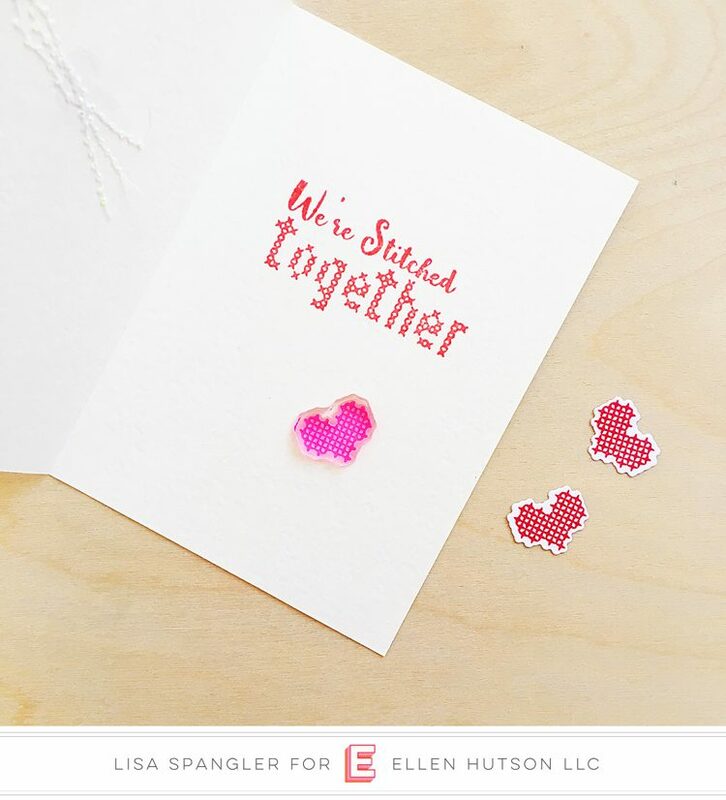 Cute little cards using this unique stamp set. I like your neon stitching. What sweet cards! Wonderfully CAS designs and lovely colors. Love the stitching! Love the way the threads trail off the card.